Preheat a large sauté pan or cast iron pan to medium heat. Season the outside of the elk roast with kosher salt, pepper and thyme. Dredge the elk roast in the all-purpose flour and shake off any excess flour. Add the coconut oil to the hot pan and heat until the oil is shimmering. Place the elk roast into the hot pan and brown the roast on all sides. This should take about 4-5 minutes per side. Remove the elk roast from the pan and place it into the slow cooker. Place the diced bacon into the hot pan and cook over medium heat until the fat is rendered from the bacon. Add the onions to the pan and cook until the onions are translucent. 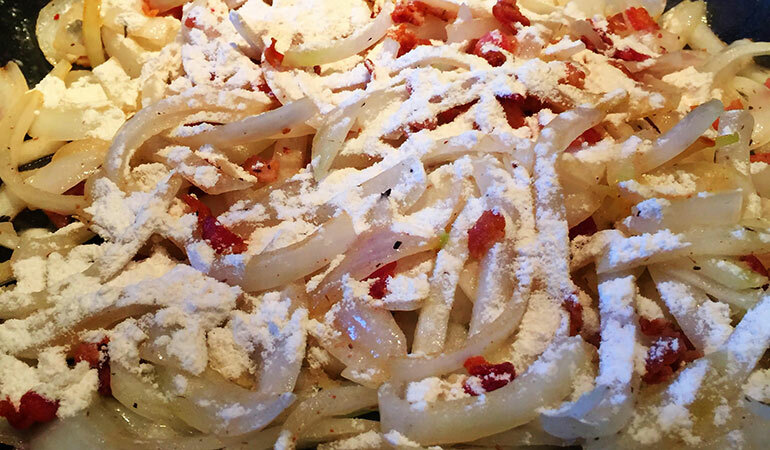 Add 4 tablespoons of the remaining flour to the bacon and onions. Stir to combine the flour with the bacon fat. Add the bacon and onion mixture to the slow cooker. Add the carrot, celery, garlic, bouillon cubes and beef stock to the slow cooker. Cover the slow cooker and set it to medium heat. Cook the elk roast for 4-5 hours or until a fork inserted into the roast twists easily, yet does not shred the meat. The internal temperature should read between 185 and 190 degrees. 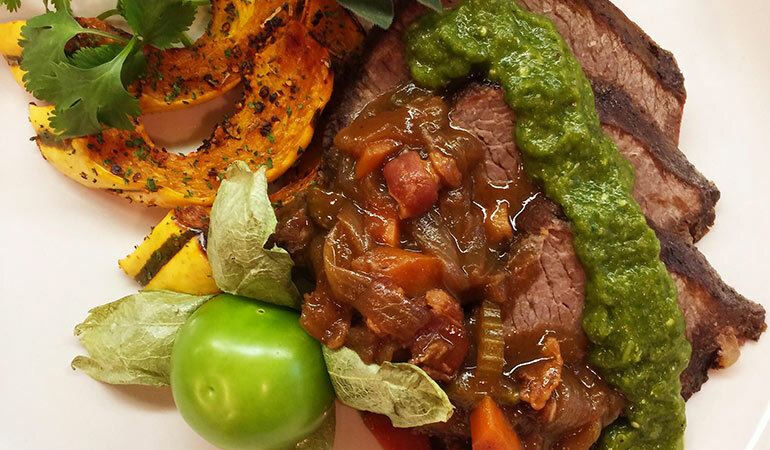 While the elk shoulder is cooking, prepare the salsa verde (see directions below). Remove the elk roast from the slow cooker and tent it with aluminum foil. Allow the roast to rest for at least 20 minutes. Slice the elk roast across the grain of the meat, about ¼ inch thick. Serve the elk with some of the braising liquid and salsa verde spooned over the top. 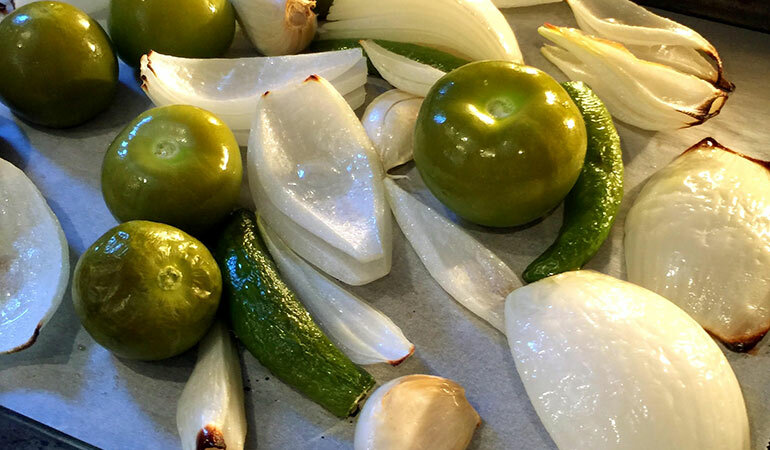 In a large bowl, combine the tomatillos, onion, garlic, chilies and olive oil. Toss to coat all the vegetables in the olive oil. Spread the vegetables on a cookie sheet and place them into the oven. Roast the vegetables for about 30-40 minutes. The garlic may cook faster than the other vegetables and its fine to remove the garlic from the oven after about 20 minutes. Remove the vegetables from the oven and allow them to cool to room temperature. Remove the garlic pulp from the skins. Place all the vegetables into a large blender. Add the cilantro, parsley, oregano, cumin, water, salt and black pepper to the blender. Purée the mixture until smooth. 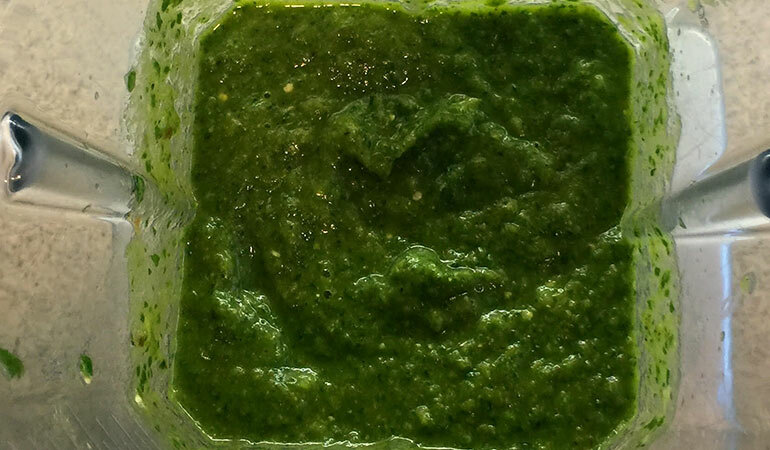 Set the salsa verde aside at room temperature until serving.